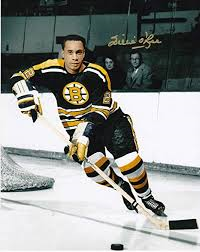 Customers interested in learning how to add the Family Tier, or any specialty tier, to your programming package, should call 1-855-696-8368.illie O’Ree, who was inducted into the Hockey Hall of Fame in November, will be the subject of documentary about the first black player in the NHL. The movie, “Willie,” will be released in 2019. The feature-length film will follow O’Ree’s journey to the Hockey Hall of Fame, including looking back at how his family escaped slavery in the 1779 and settled in New Brunswick, New Jersey where, generations later, O’Ree grew up and learned to play hockey.